Moki is about 10 years old and was surrendered to CPL because her owner suffered from a cat allergy. 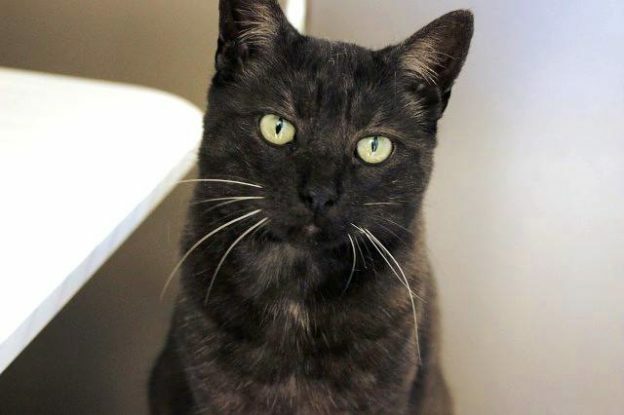 Moki is a confident and friendly cat who is also quite independent. She will suit a quieter home where there is someone around most of the time, although her habit of winding herself around people’s legs might prove hazardous for a less agile owner. Moki’s black smoke colouring is stunning, but hard to capture on camera!